Jagged Pass as seen in Pokémon Emerald. Jagged Pass leads down to Lavaridge Town. There are three trainers here, but it will require multiple trips down (or up, by bunny hopping with the Acro Bike) the mountain to fight them all. 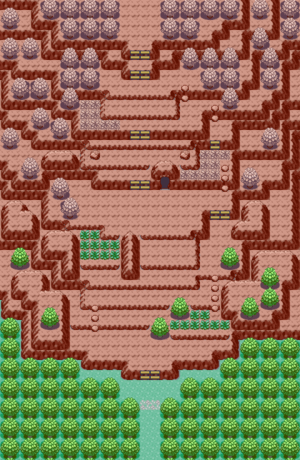 In Emerald, this is the location of the entrance to the Team Magma Hideout, although you cannot access it until later. This page was last edited on 28 November 2018, at 06:11. This page has been accessed 105,809 times.